Clever old Rabbit rejoices in the fact that he can juggle, something he thinks nobody else can do. 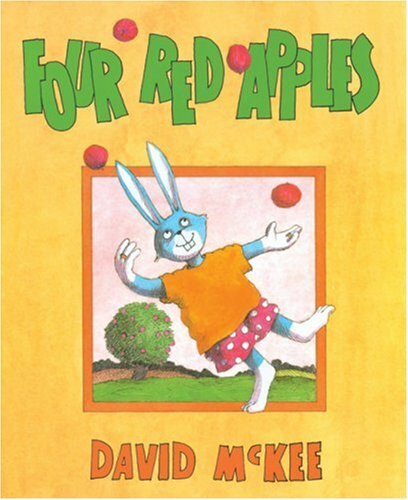 There he is, juggling four apples with ease. But then Pig announces he can do that too, and Rabbit is quite deflated. Pig says it was Sheep who taught him to juggle, and off they go to find her. Rabbit is non-plussed when he discovers that not only Sheep, but her teacher Dog, and his teacher Cat are all expert jugglers. It doesn’t stop there, for Cat learnt juggling from Frog, who learnt from Duck… and they all laugh at Rabbit for thinking he was the only one who could juggle.